Andalusia has become known for being a region of culture, fiestas and good food, but its greatest attraction is its natural beauty; the highlights of which are its seas, rivers, streams, pools, lakes and lagoons that as well as contributing to tourism, embellish our region and allow one of the largest productive activities like fishing to develop. Fishing is just one of the activities with a long tradition in Andalusia. It is an essential part of the Andalusian economy and diet. The fishing fleet in our region is the second most important in Spain due its vast area. How did Andalusian fishing develop? Andalusia has discovered an inexhaustible source of wealth in fishing. It is estimated that annual production exceeds 65 thousand tonnes, as many people work in this activity. About 1,493 boats have been registered as engaged in fishing in our waters and in international fishing grounds. Fishing in Andalusia has been developing since the 16th century, the period when this resource really began to be exploited. Catalan and Levantine companies introduced trawling techniques to the Andalusian coast. From the 18th century, Spanish fishermen attached great importance to Isla Cristina in Huelva province, which became Andalusia's main fishing port, being the leader in the industry in terms of fresh fish auctions. In the fishing industry in Andalusia, there is an increase in aquaculture activity (a technique for managing and developing the breeding of fish, molluscs, and algae in fresh or salt water). The main species produced in aquaculture are sea bass, sea bream, sole and tuna, to which can be added molluscs, such as mussels. This activity mainly takes place in the marshes, estuaries and intertidal areas of Huelva and Seville. 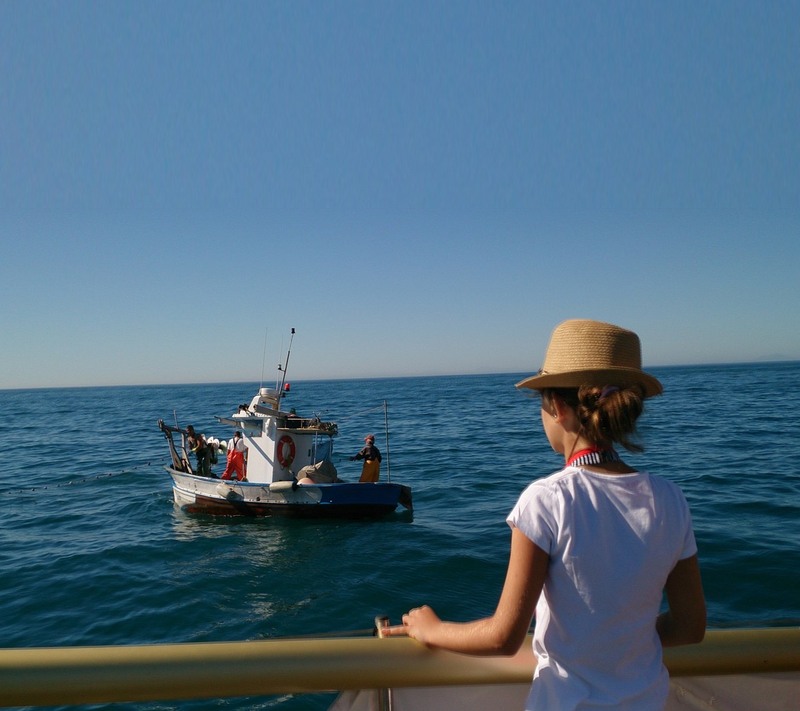 Even though Andalusian fishing is extremely beneficial to the economy, it is not just restricted to those who do it to earn a living, since it also leaves room for enthusiasts who enjoy it as a leisure activity. Andalusia, recognised as an area with a seafaring tradition, is doubtlessly the ideal place for recreational fishing, due to its incredible settings which include reservoirs, rivers and seas. Nevertheless, this type of activity cannot be carried out everywhere. 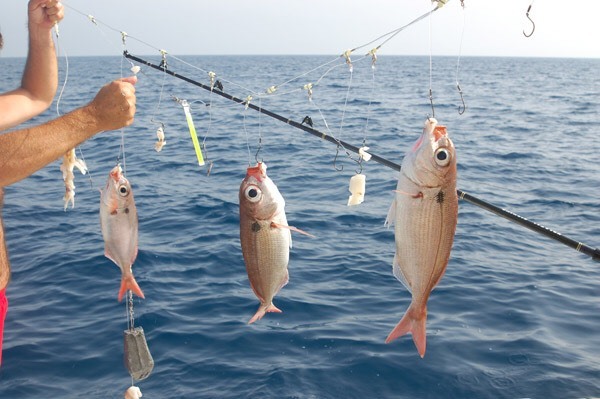 There are designated areas for this, called “Cotos de Pesca” (fishing preserves) which are controlled by well-established rules that allow for the appropriation and use of catches in accordance with the annual fishing regulations. Likewise, there are also “Cotos de Ciprínidos” (freshwater Cyprinid fishing preserves) designated for reservoirs. Species permitted to be caught in these preserves are barb, pike, catfish and black-bass. Meanwhile, common and rainbow trout are the most plentiful species in Andalusia's river preserves. The fishing period or season in Andalusia generally begins in March and extends until the end of August and September. 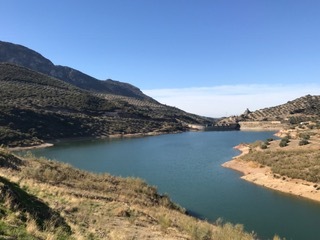 Similarly, there are preserves where it is possible to carry out this activity 12 months a year, such as the Santa Maria reservoir in Pozoblanco (Cordoba province). Other recommended places are the Corumbel reservoir (in the municipality of La Palma del Condado in Huelva province), the San Rafael de Navallana reservoir (in Cordoba province) and Guadalmellato reservoir (which is a river in Cordoba that is a right bank tributary of the Guadalquivir). There are 49 fishing preserves in total spread around all the rivers and reservoirs in the eight Andalusian provinces, which makes our region one of the best places to practise recreational fishing. The river flows in Andalusia are one of the highest because of certain factors in mountainous areas and in areas near to the sea with abundant rainfall. The Guadalquivir river, which includes Seville, Cordoba and Jaen provinces and a large part of Granada, Huelva and Cadiz provinces, is the largest in Andalusia and becomes the main waterway, formed by a group of rivers, lakes and streams. Andalusia is divided into two zones that depend on its hydrological system: the Andalusian Mediterranean Basin is formed to the south and the Guadalquivir Basin to the north. The Andalusian Mediterranean Basin is not a river basin with so many channels, because there are no rivers that flow entirely through it with tributaries coming to it from each bank. All the small basins form the so-called Andalusian Mediterranean Basin.